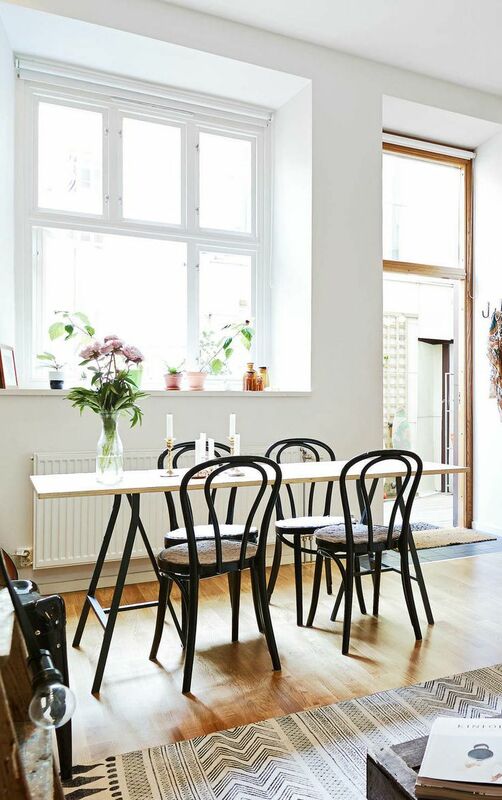 With the prospect of moving to a new place in the near future, I’ve been thinking way ahead about the decor changes I’d want to make, and one that I would prioritize is our dining chairs. We got our current ones from the people that previously lived in our apartment, and at 10 bucks a pop they were really meant to just be placeholders to give us time to look for ones that we loved. Fast forward 2 years later and we’ve made no progress towards replacing them. Funny how that works, huh. This is totally becoming a theme around my place. 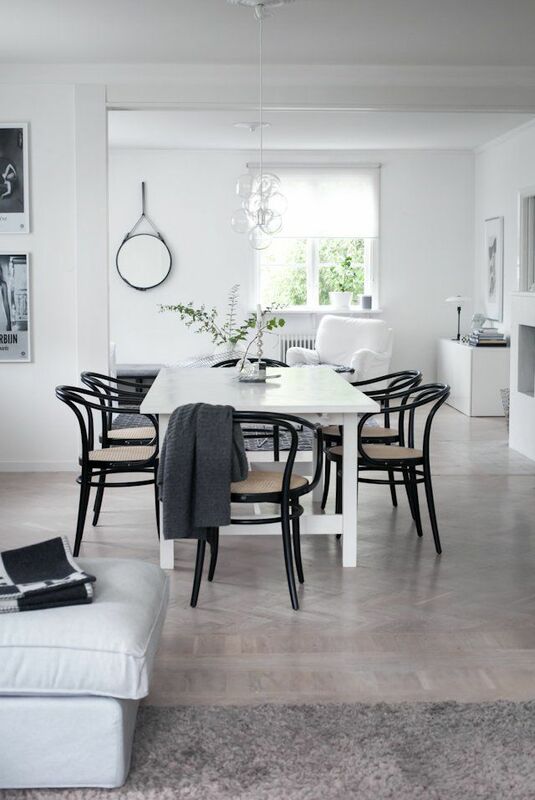 I always imagined we’d have black chairs with a white table (surprise surprise), and bentwood chairs in particular are currently the front runners. 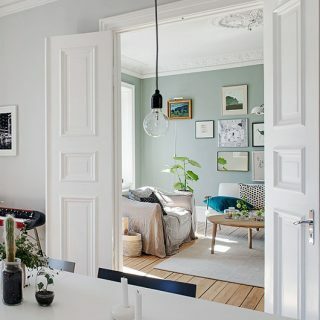 I’m in love with their simplicity and timeless design, and how they can be both casual and chic. They also look awesome with tulip tables, which is another decor upgrade I dream of making. It’d be amazing to do all bentwood armchairs, but from what I’ve seen they are wildly more expensive and more difficult to find than the regular ones. Ain’t that the way it always is! 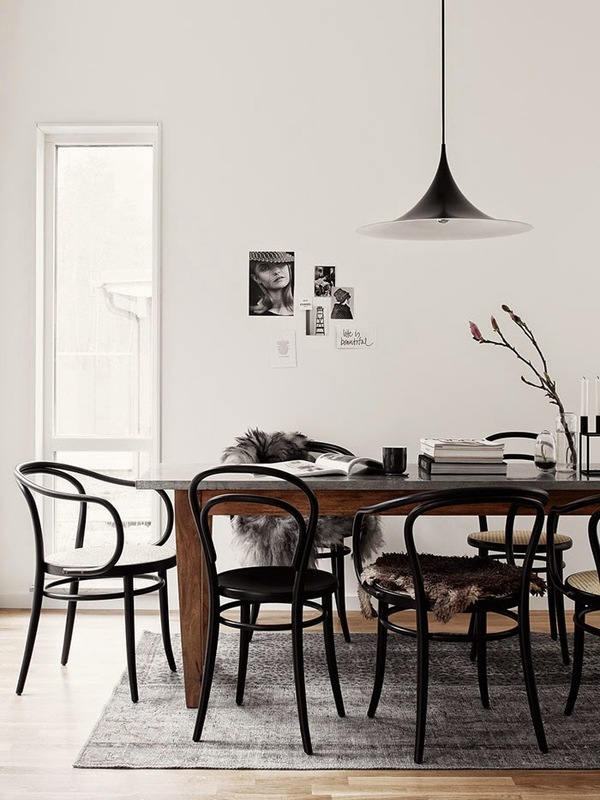 Still, I love the look of a classic bentwood chair. If these don’t end up being our dining chairs, having just one for a corner looks like a pretty idea as well, dont’cha think? Boyfriend isn’t completely on board with them because he thinks they look uncomfortable. Screw comfort. No I’m kidding, I don’t think he’s entirely wrong, but anything would be more comfortable than the chairs we have now, so I haven’t thought much about that. Anything that doesn’t have seats that completely sink in like ours is good enough for me! 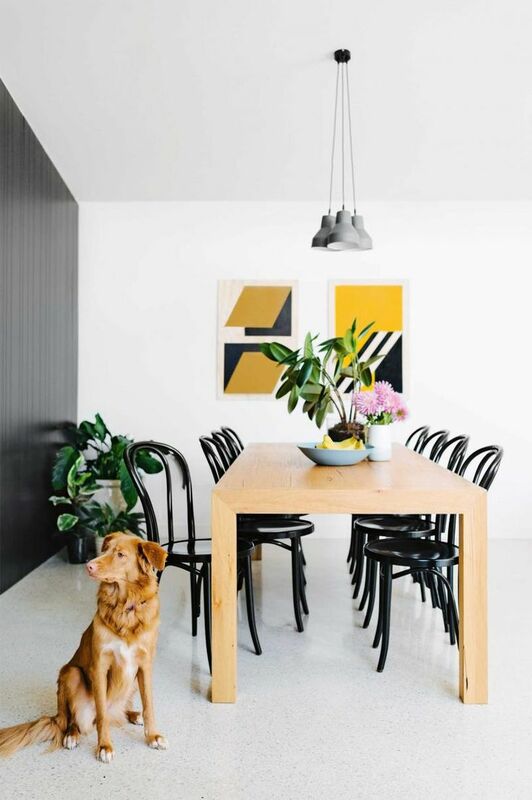 What do you think of bentwood chairs? Got any of your own? Oooo that’s GORGEOUS. 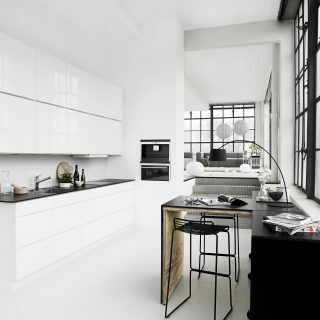 I love the way the wood looks in that space! 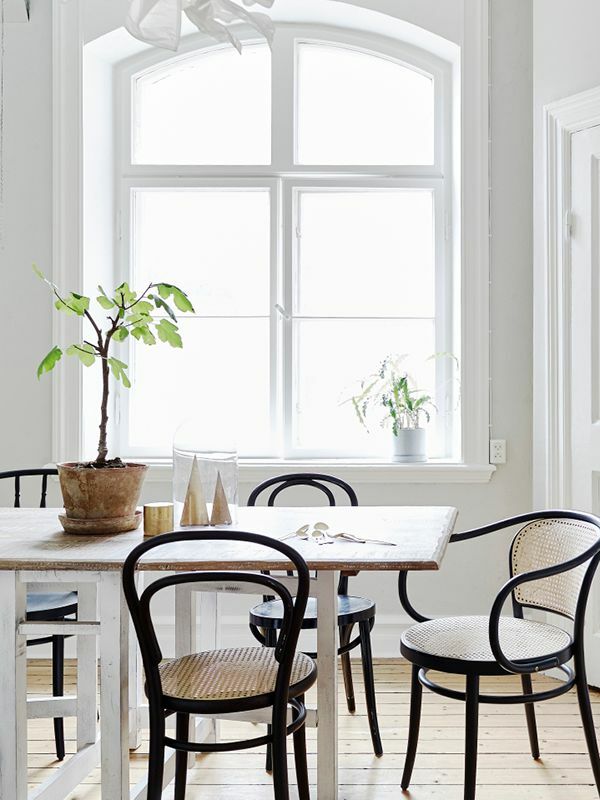 OOooh I love bentwood chairs, Any color, I love how classic they are. As for comfort, it’s not like they’ll be torture chairs. I’d say just go for it! Especially if you’ve been eyeing them for so long. Ahahah torture chairs. That’s the perfect way to describe my current chairs D: Seriously, these would be like clouds in comparison! 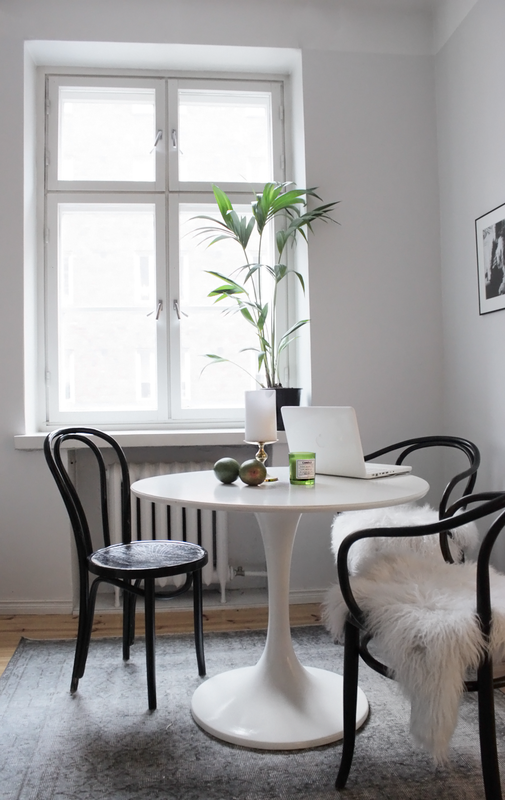 I definitely like the look of bentwood chairs but I too would be concerned about comfort. However, if you added a simple cushion that’d probably make a world of difference. Like you mentioned, if they don’t end up at the table you could always have one somewhere else in your home! 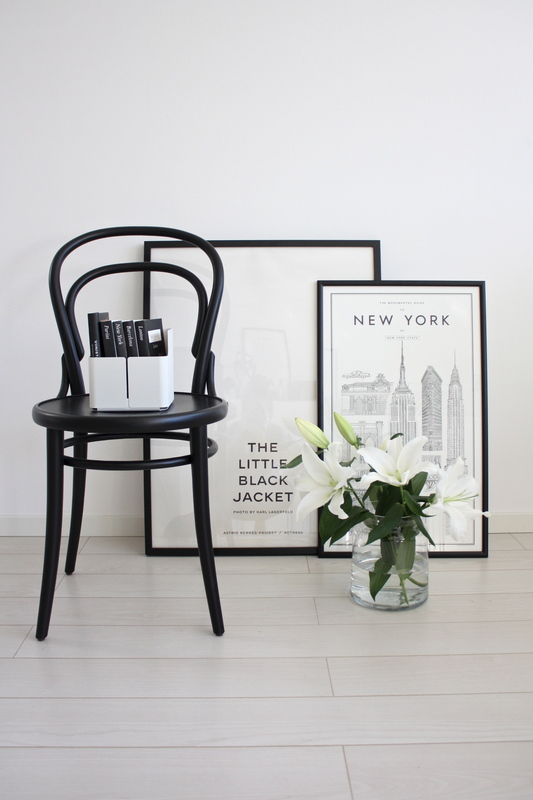 Love the idea of the black chairs with a white table…of course! They’re so classic, and you can’t go wrong with classic IMHO. I like to keep an eye on eBay for stuff like this– people have NO idea what they’re throwing out sometimes! I haven’t been having much luck and ebay or craigslist. Staying patient and hoping I’m bound to find something great, cuz I’ve already put months into waiting for the perfect finds! Heart eyes, all the way. The armchairs really are gorgeous, aren’t they? But yeah, I hardly ever see those. You can usually find the side chairs at thrift stores/antique malls/Craigslist for under $20 a pop, though! Totally worth it. And I don’t think they’re particularly uncomfortable! Just kinda normal for dining chairs. Oh dang they go as low as $20? I haven’t been making any time at ALL to keep up with the fleas around here. It’s been a while! Good reminder, thanks girl. Yea, and you know what, I sit on them time to time at restaurants (just recently did) and they really aren’t so bad. Lucky you for having them!